For every business, it is necessary to provide a customer support for their users. Your instant support makes your customer more satisfied and the satisfaction of clients becomes a key to success for your business. And this can be done with chat WordPress plugins which are equipped to handle multiple queries at a single place. WordPress Plugins is the easy way to make your customer happy by offering an instant solution via chat & messaging. As, every people are hitting chat support rather than any time consuming emailing. Chat WordPress Plugins provides more chances to assure support to the user at a crucial moment. A great and responsive website with live chat support will give you an organic SEO and brings more businesses. Here I’d like to share some free & paid 7+ Chat WordPress Plugins which will beneficial for your business by providing live support to your customer. With Flat Visual Chat, you can give a quick & live response to your customer within a minute which they are needed. 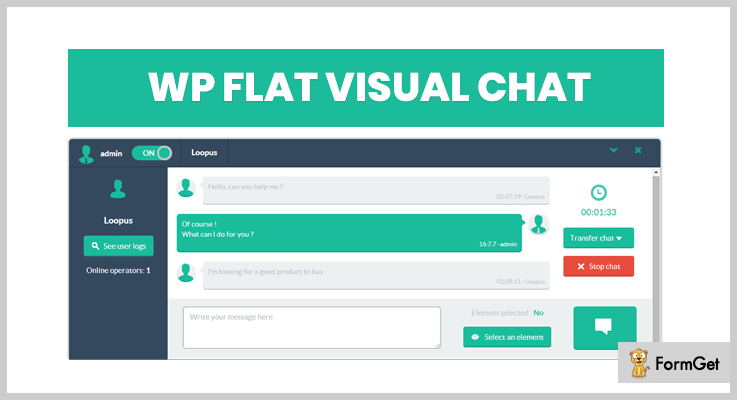 This fast & elegant WordPress plugin provide live support to your customer via Chat with Flat Visual Chat. You can manage your chat logs with simple and lots of filter options. Its standard price starts from $24. Various of customized color options. Can easily detect IP of customers. 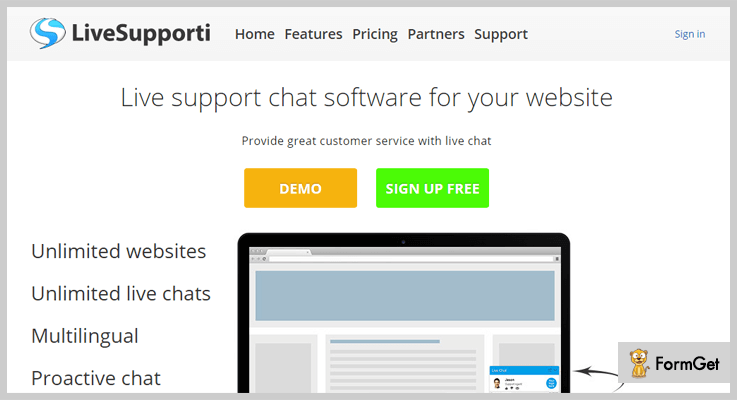 Live Chat is the easiest & user-friendly chat support plugin. It offers beautiful designs that fit on any screen & make you and your customer more comfortable to use. Provide quick response and increase sales by communicating directly with potential customers with LiveChat. The plugin also has a nice chat box which can be accessed by just a single click. It allows you to get detailed reports for users, pages, chat statistics and etc. You can share videos, images, documents and more to your customers by providing them more information. Live Chat offers different prices for every size businesses. Its monthly plan starts at $4.99 for 1st license. Add as many chat agents as you want in your chat box. Customize every feature according to your choice because Live Chat offers you a Fully customized support software. Its high speed and quick response make you & your customer’s life easier. Formila is one of the Best Chat WordPress Plugins. There’s a multitude of reasons to choose Formila because of its tons of features and functionalities. Formila can handle multiple customers task and can send automatic messages to your visitor’s website. Gives mobile alert when visitors arrive on your website. The software offers you to view your website traffic in real-time, and what country and region your visitors are located. The plugins offer both free and paid version. But if you choose premium you’ll get the full advantage of plugins. Its premium version starts from $11.99/month. Integrated with most popular apps like Zapier & connects various apps including email marketing platforms and more. Integrated with Powerful Google Analytics to measure the success of your chat campaigns. Fast & quick response software. Zendesk support is Clean & simple plugins for tracking & solving your customers’ ticket issues. Zendesk is basically designed for a ticketing purpose. The plugin put all your customer support interactions in one place and provide instant support to the users. 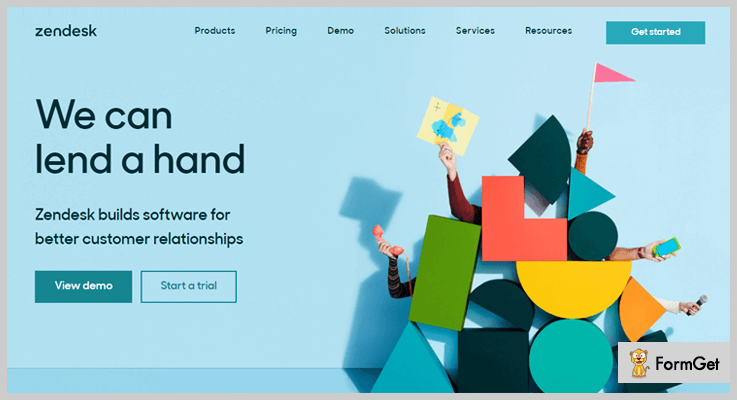 Zendesk lets agents switch between chats, phone calls, emails, or social media messages. This plugin offers both free and paid version software for its customer. To get more features and functionalities choose its paid version starting from $15/month. It supports Trigger and sends targeted and behavior-based messages to customers. The plugin is completely multilingual and supports up to 300 brands, products & services. Zendesk provides Pathfinder app which gives you the context you need to solve customer inquiries quickly. The software is easy and multi-purpose with high functionalities and flexibilities. This plugin is suited for any kind of businesses either it is small or large. Give your business a huge height of success with Leap Live Chat plugins by adding an unlimited number of operators. Its regular license starts with $19 per month. Consists Trigger leap chat so that you can use shortcode your to create a clickable link. Automatically notify when a new user has arrived. Detects a user on the same page and interact with it. Simon live chat is a simple and easy to use WordPress plugins. This plugin is easy to configure & easy to set up. You can set the chat in online & offline mode. Respond your potential customer in a great way. The cost of these tools is basically an expanded email system. Make your business at a high level by offering a better customer service to your users. The plugin has different pricing list for all size of businesses. Its actual price starts from $17. The plugin allows you to chat with multiple users easily at the same time. Completely customizable so that you can change the color of the chat box anytime. There’s a beep sound on the software so you can easily hear when someone starts chatting with you. This plugin is completely customized and has a clean and simple dashboard. This fastest and elegant WordPress plugin makes your work more easily in front of your customer. 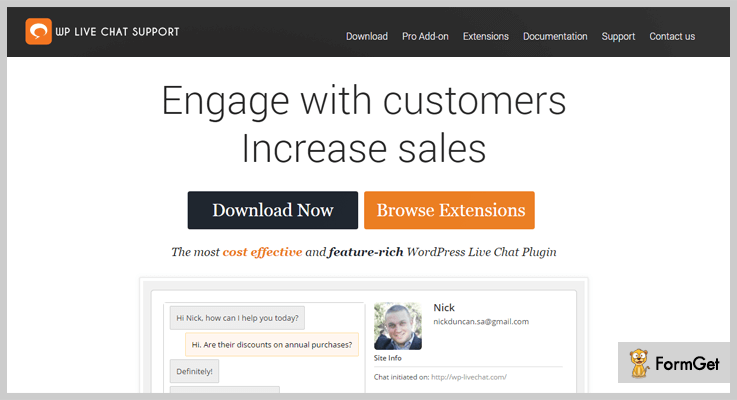 This Live Chat plugin is a feature-rich list WordPress plugin with free of cost. Easy to install and use. Manage your customer engagement experience effectiveness. The plugin is completely free. Use unlimited features of Tawk.To live chat at free of cost. 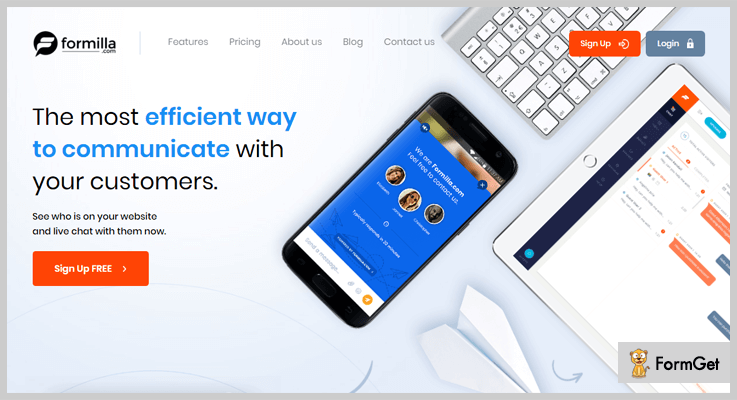 The plugin is completely responsive so that you can stay connected with your customer anywhere. It offers free iOS, Android, window and Mac OSX apps to stay connected. Live Support is a free WordPress plugin with rich of features & functionalities. The WordPress theme has a responsive layout. 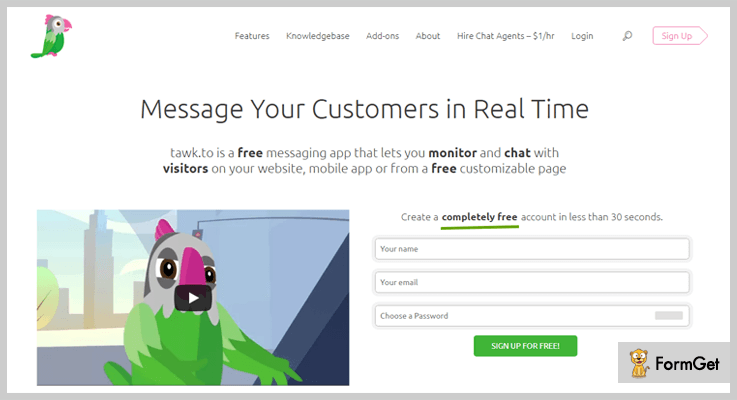 Add free live support to your website so you can give instant support to your customer. This WordPress plugin is completely free. Get unlimited features for free of cost. Customize the colors anytime according to your choice. The plugin is fully multilingual. Share files & videos as well. This was our take on the 8 Best Chat WordPress Plugin which might be helpful to get a perfect customer support WordPress plugin for your website. Take your business to a next high-level with these fastest plugins. If you want more relevant blogs do comment us below!